The N.H. Office of the Child Advocate was created about a year ago in the wake of the deaths of two children at the hands of abusive parents -- cases that had been reported to the N.H. Division for Children, Youth, and Families. Moira O'Neill, the OCA's first director, joins us Tuesday at 9 a.m. to discuss the agency's first annual report. Although the state receives some praise, there remains much work to be done, according to the report -- including the hiring of more case workers, an ongoing challenge, as well as nurses, to bolster DCYF. In addition, the state must work to educate all those likely to encounter children in need of services (CHINS), including staff in schools and courts. Overall, the state must shift the emphasis toward putting the safety of children first. 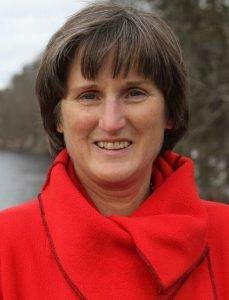 GUEST: Moira O'Neill, Director of the N.H. Office of Child Advocate. From the OCA website: If you think a child is in danger, call 9-1-1 immediately. To report suspected abuse or neglect call 1-800-894-5533. For more information on reporting child abuse or neglect, visit here. To read the OCA's annual report, visit here. An attorney representing the families of two children in litigation against DCYF says a new report from the Office of the Child Advocate doesn't go far enough. Rus Rilee represents the families of Brielle Gage and Sadee Willott, two toddlers who were killed by abusive mothers in separate incidents in 2014 and 2015. In both cases, abuse had been reported to the state's Division for Children Youth and Families. It's been a year since an investigation of the state's Division of Children Youth And Families revealed an agency in crisis. At the time, officials and lawmakers promised a major overhaul, with new leadership, policies and funding. We check in on what progress has been made in protecting New Hampshire's children.